There are 18 Memory Care Facilities in the Berkeley area, with 1 in Berkeley and 17 nearby. To help you with your search, browse the 28 reviews below for memory care facilities in Berkeley. On average, consumers rate memory care in Berkeley 3.9 out of 5 stars. Better rated regions include Albany with an average rating of 5.0 out of 5 stars. Caring.com has helped thousands of families find high-quality senior care. To speak with one of our Family Advisors about memory care options and costs in Berkeley, call (855) 863-8283. In California, an estimated 650,000 people age 65 or older had Alzheimer's disease in 2018, and this number is projected to increase by nearly 30 percent by the year 2025. In the city of Berkeley, seniors in this age group account for about 13.5 percent of all residents. As this population's need for memory care services has grown, more than 120 memory care facilities have opened in Berkeley and surrounding communities to serve seniors with dementia. Memory care facilities in Berkeley and throughout California are formally called Residential Care Facilities for the Elderly (RCFEs). Some memory care facilities are stand-alone facilities, while others are a distinct part of larger assisted living communities. Any RCFE providing memory care services must meet special requirements, including providing staff with specific training on how to care for persons with dementia. Seniors living in Berkeley can enjoy a sunshiny, temperate year-round climate. In any given year, the city receives an average of 256 days of sunshine, compared to the U.S. average of only 205 days. Berkeley's average summer high is a comfortable 73 degrees Fahrenheit, while its average winter low is a mild 43 degrees Fahrenheit. The Berkeley area is home to world-class medical facilities, including those specializing in brain health and dementia care such as the University of California, San Francisco's Memory and Aging Center Clinic, in the event of medical emergencies or illness. 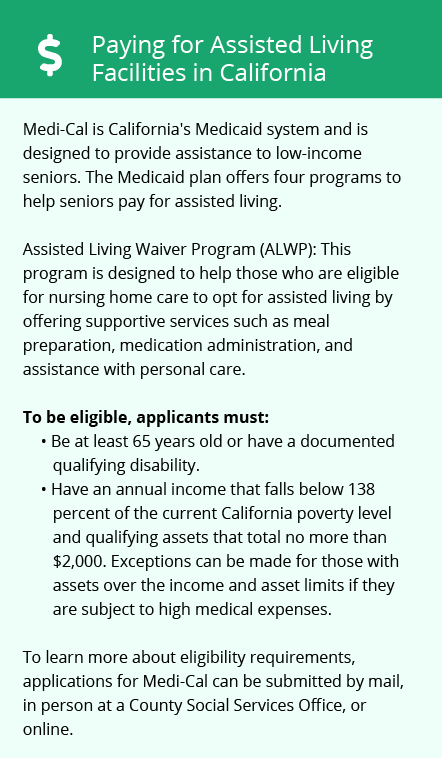 Berkeley's high cost of living may be a barrier for seniors on a budget. Overall, living in Berkeley costs 187.5 percent more than the U.S. national average cost of living. In Berkeley, as in the rest of California, senior citizens' Social Security retirement income is not taxed. However, pensions and withdrawals from retirement accounts, such as 401(k) plans, are fully taxed. Memory Care costs in Berkeley start around $0 per month on average, while the nationwide average cost of memory care is $4,778 per month. It’s important to note that memory care rates in Berkeley and the surrounding suburbs can vary widely based on factors such as location, the level of care needed, apartment size and the types of amenities offered at each community. To see a list of free memory care resources in Berkeley, please visit our Assisted Living in California page. 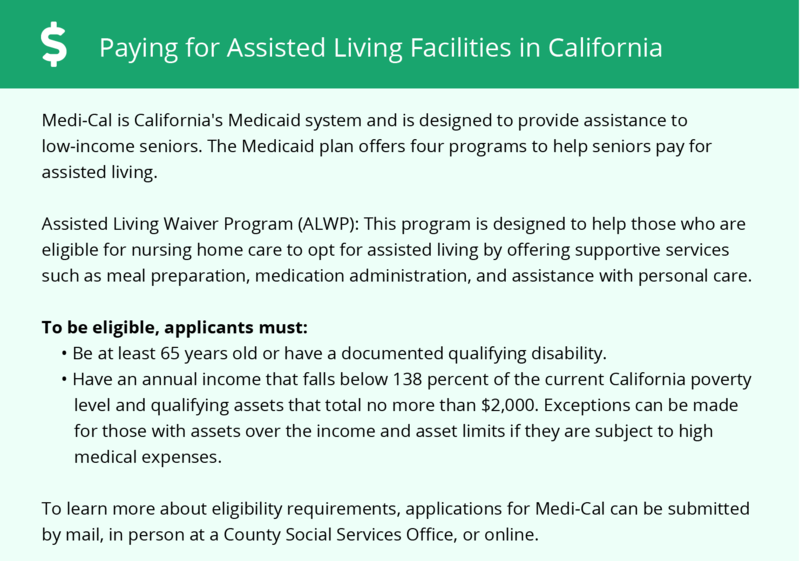 Berkeley-area assisted living communities must adhere to the comprehensive set of state laws and regulations that all assisted living communities in California are required to follow. Visit our Memory Care in California page for more information about these laws.